As the most experienced custom pool table and billiards supplier in New York we cater to all budgets and provide a level of service and expertise unmatched by anyone. Constantly raising the bar in levels of quality and professionalism, Century Billiards continues to set the standard in our industry. This is our promise to all of our family members (customers). It has been since the beginning, and it will continue on with the Grimaldi Family legacy. This level of excellence has placed Century Billiards & Gameroom in a class of its own. We have become New York’s Ultimate Gameroom Store and the All Weather Outdoor Custom Pool Table Headquarters. 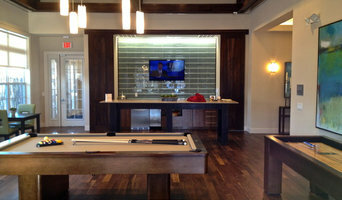 Looking for a custom pool table? We have the finest selection of contemporary, industrial, traditional, transitional, mission-style, and even ultra modern high-tech tables constructed of solid stainless steel. Call us today and speak with a family member about your very own custom pool table. We also carry a great selection of quality game tables, including custom shuffleboard tables, foosball tables, as well as outdoor table tennis, and air hockey tables. Speak with a game room specialist today at Century Billiards. If you don't see what you are looking for, simply ask and we will gladly assist in bringing it right to you. We are a family owned business for five generations, and would love to help you spend quality time with your family as well. Celebrating an amazing 30 years in business! Best of Houzz- 6 years! New Haven County Tasteful Interior Design Services for over 25 Years! Strianese + Pew is an architecture and design firm that collaborates closely with great people to create dynamic, evocative interiors that look like no place else. LIz and Anna met 20 years ago while working at one of New York’s top interior design firms. After successful solo careers in their respective fields of interior design and architecture, they joined forces to create Strianese + Pew. Their complementary skills, shared relaxed approach, and extensive experience make for a potent design partnership. Together with their operations manager Paula King, Liz and Anna welcome design projects of all scale from both the New York metropolitan area and the greater San Francisco Bay area. A good home design professional will hone your style down to its very essence and be able to choose a functional layout that feels natural to you. Interior design companies can be involved as much or as little as the client desires. 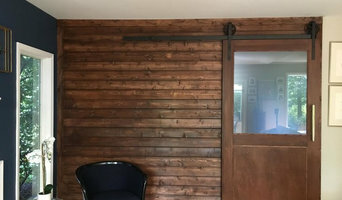 Many clients who hire an interior decorator in Seymour, CT — particularly those who are remodeling — have a good sense of how the room should look and what products they should use. Often clients will insist that interior decorators use the products already present in the house. Other times a designer will need to start from scratch — especially if this is a newly purchased or just-built home. An interior design company will need to figure out exactly what the client needs, which includes organizing rooms, picking flooring and wall colors, and finding furniture to complement it all. Sometimes that means he or she will have to recruit help from other Seymour, CT home professionals to help create the perfect look for your renovation. Here are some related professionals and vendors to complement the work of interior designers & decorators: Architects & Building Designers, General Contractors, Home Builders, Design-Build Firms, Photographers. Do your research before meeting with an interior designer or home decorator in Seymour, CT. Ask yourself what you want your space to become and what it will be used for. Figure out the extent of what you need help with, what your must-haves are and what your budget is. Interior design services can add up fast, so be up front with a potential design firm or individual from the beginning. Also, pick an interior decorator that fits your style. Browse through the portfolios of different Seymour interior design firms and decide if you would live in those houses. Just because you like something doesn’t mean you could live in it. There's a big difference! Find an interior designer or home decorator in Seymour, CT on Houzz. Narrow your search in the Professionals section to find Seymour interior designers near you. You can also look through Seymour, CT photos to find a room you like, then contact the design firm who designed it.